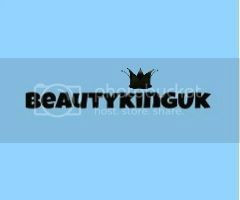 Beautykinguk: Tigi Bedhead Supercharge Duo - The winner is…. While I still consider myself very new to the bloggersphere, back at the end of March I got overly excited by reaching 250 Twitter followers and decided to giveaway a Tigi Behead Supercharge Duo gift set. The competition attracted a lot of interest, drew some new people to the blog and until recently was one of my most popular posts (this has since been significantly exceeded by review of Dirty Burger and my tattoo). Using the powers of Rafflecopter yesterday the winner was selected in true lottery style. Congratulations John, an e-mail is winging its way over to you shortly. The Thalgo Duo Cleanse & Pure set also comes with the freshness exfoliator. Worth over £50 it must be worth a punt. I’m sure whoever wins this in time will be a very happy person. As always, thank you to everyone who reads, comments and follows my blog. I really appreciate it.